Since needlepoint canvas is squares within squares, how can you stitch a smooth curve? 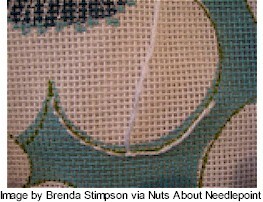 Brenda Stimpson shares three great techniques in her guest post on Janet Perry’s Nuts About Needlepoint. Go to Brenda’s post.